My guest today is Dr. Alan Christianson. He’s a naturopathic endocrinologist and medical doctor. He is a New York Times Bestselling Author and a Phoenix, Arizona-based Naturopathic Medical Doctor (NMD) who specializes in natural endocrinology with a focus on thyroid disorders. He is the author of the Adrenal Reset Diet, the Complete Idiot’s Guide to Thyroid Disease, and Healing Hashimoto’s – a Savvy Patient’s Guide. He’s a guru in all things adrenals. He has one of the United States’ premier natural hormone treatment centers in Scottsdale, Arizona. He has a gift for figuring out what really works in wellness and steering clear of the fads. Watch Alan’s Grave Disease Video Series HERE! Dr. C’s Thyroid Reset Program HERE! Robyn: Right? Right? You don’t know what’s coming. 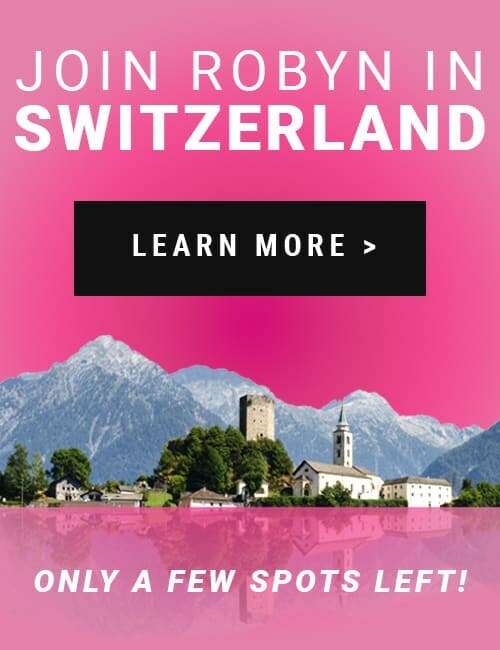 I was in Switzerland, not this past year. I went with some mutual friends of ours, Alan, Dr. Tom O’Bryan, Katie Wells, ‘Wellness Mama,’ and some others. The year before that, I went with a group of Green Smoothie Girl readers. They were asking me, because sometimes they would start talking about information they had learned on this source or that source. I’d just try to not roll my eyes because you and I have discussed this before. I feel like so much of the information that’s out on the internet now is just written by $14 an hour staff writers, and they’re just going out there and searching, and coming up with a bunch of garbage information. They’re stirring dirt out on the internet, just stirring stuff that may have some truth, may have some falsehood, may have some totally made up stuff. Nobody’s policing it. Who I was asked, “Who do you trust, Robyn? Who do you follow?” I was thinking of who I admire, who I think digs to the very bottom of what the data says; not just repeating somebody’s opinion on the internet. Which is kind of where I’ve lived for the last 20 years … is when I hear things, sometimes all the other information in my head makes me go, “Hmm, I don’t know about that.” I really value my critical thinking skills. I said to the group of Green Smoothie Girl readers in Switzerland, where we go every June, I said, “I trust Dr. Alan Christianson the most. He’s one of the only emails that I get.” I sign up for everybody, but I really opened Dr. Christianson’s emails. I read to the bottom of it. Sometimes I even click into his references page. I’m always excited to see what he’s going to be telling us about next. That was a long introduction to Dr. Alan Christianson. He’s a naturopathic endocrinologist. He’s a naturopathic medical doctor. They have to get more training than the NDs. Nothing wrong with the NDs, but he’s extremely well trained. He’s the author of the New York Times best selling ‘Adrenal Reset Diet.’ He’s a guru in all things adrenals and all the related glands that work together to help us be well. He’s also has one of the United States’ premier natural hormone treatment centers in Scottsdale, Arizona; right? Robyn: So Dr. C., he goes by Dr. C.. He has such a gift for figuring out what really works in wellness, and steering clear of the fads, and all the weird little bunny trails. I’m really excited to have you on my show. Thanks so much for being here, Alan. Alan: It was so kind of you to ask. Thank you so much. Jazzed to be here with you. Robyn: It’s going to be fun. I didn’t tell you I was going to ask you this question, but do whatever you want with this. You have a phenomenal story. You didn’t start life very easy. Will you tell us a little bit about your backstory before you even went to medical school? Alan: Sure. My biggest interests were astrophysics and space science. Somewhere along the way of heading towards adolescence, I realized that I had to put more thought into health. I was a kid that had seizures and complications from cerebral palsy. The big thing was just the lack of physical ability, and then just the obesity that made me feel so ostracized. Yeah, so I started taking the love of books and love of research, and picking up just all the health books I could find back in the early 70s, as it was. Robyn: Yeah. You really don’t dwell on the challenges you’ve faced; but to our readers listening, did you hear that he just said that not only is he a world renowned naturopathic medical doctor, but he was born with cerebral palsy and suffered with seizures, and being extremely overweight? I’ll just mention this, when I first met Alan a couple of years ago, I wanted to work with him on something. He was like, “Well, I’ve got three foot surgeries in the next six months.” Right, did you do all three of them? Alan: Well, there was actually five that took place over that … There was a few more that ended up happening. It was a busy time. I’m glad that stage is behind me, yeah. Robyn: My gosh. In May, so just a couple of months ago, I was in Arizona and I was trying to connect with you. I wanted to go do a Facebook live with you. We never made that happen, and the reason we never made it happen. I don’t know if you know this, but I was staying in [Jill Polish’s 00:05:05] house with JJ Virgin. Alan: You know, there was a point on the hike to where we were scrambling. My son and I were doing pretty good. Ari was … fearing for his life. He’s a little bit strong, but he wasn’t sure if it was smart to follow us. Robyn: Well, I will have to thank JJ for steering me. But what’s really amazing, it just kind of shows what kind of life you’re living, is that nobody puts any limits on you, do they? Alan: Yeah, I’d just as soon avoid them. I love being able to be active, and have fun, and be outdoors, and travel. Robyn: Five foot surgeries, and he’s doing five hour hikes in the May 100 degrees plus heat in Arizona. I was bummed to not hang out with you and Ari that day, but not bummed that I didn’t end up in a gully somewhere. Alan: Wouldn’t have let that happen. Robyn: Yeah, or being carried out by ya’ll. All right, I am dying to hear about … You have so many of the controversies in wellness that I could ask you about; but really, I know that you specialize in thyroid disease. You have some exciting work coming out, helping people reset their thyroid. So many women, so many people, but so many women, are … Can I start with the start? 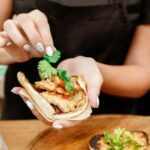 What does food have to do with thyroid disease? What kind of diet helps thyroid disease, do you think? Also, do you think that the standard American diet, the junk diet we’ve been eating for a few generations now, has anything to do with why so many of us have thyroid disease? Alan: Yeah. The relevance of food is things we need that we may not be getting, and things that we don’t need that we are getting. Your thyroid is a … They got the show about what the hoarders, what’s that called? The world’s biggest hoarders or something? People that just hold onto things? That’s what your thyroid does chemically. 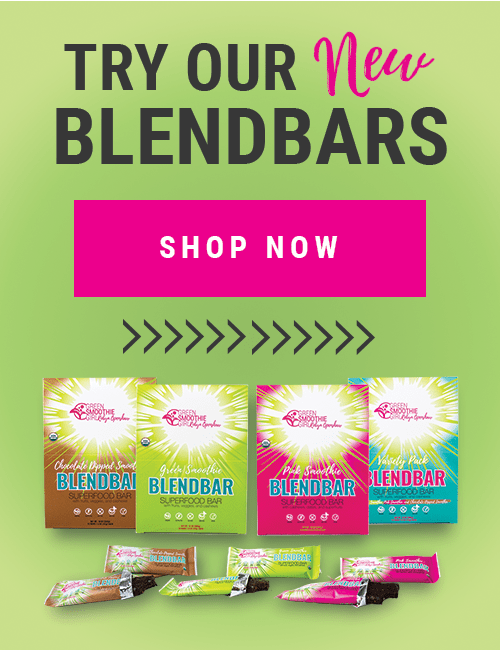 That’s great for some nutrients that it needs more of than the rest of your body does, but it’s a real drag in terms of environmental toxicants, because they build up in your thyroid at levels of 100 fold over what they are anywhere else. That’s like the canary in the coal mine is that the first gland to really suffer from the load of toxic burdens. There’s a couple of really important nutrients like selenium, for example, that our thyroid needs to function. We may not get those on processed foods. Yeah, that’s the main thing is that we’re lacking some key nutrients. Selenium and vitamin D being some of the top ones. Then, there’s just over 300 chemicals well documented to be triggers of just thyroid autoimmunity, and autoimmunity in general. The processed food, the chemical laden diet that many of us consume is the biggest source of those things. Robyn: That thyroid is just soaking up all these 8,000 chemicals approved in our environment, and our food, and our water. Alan: You know, it’s sad. It is soaking them up, but even further than it, it’s sucking them in. It’s really concentrating those at high levels. We see cadmium, and mercury, and the things that make Teflon, and perchlorate, and all the plastic compounds. There’s more of that stuff in your thyroid than there is your liver, or your kidneys, or your blood, or your fat. It’s the toxic waste dump. Robyn: What kind of diet does the Christianson family eat? Your wife’s like this gorgeous supermodel. The whole family is gingers. Alan’s a ginger. Karen’s a ginger. Their two kids are gingers. They’re all these beautiful people with this beautiful different colors of red hair. What does your family eat? What do you think is the healthiest diet? Alan: Things that people have eaten historically, even just like last century. We focus really on unprocessed foods. I’m a big fan of beans, legumes, vegetables, nuts and seeds, fruits, intact whole grains. We do some seafood. Some of us do some non-fat, unsweetened Greek yogurt. I’ll do some of that. My son does. The girls tend not to, but that’s our main dietary staples are just simple stuff. We were traveling the last month, and it’s just so nice to be back home to where it’s easier to do that and live that way. It’s such a powerful thing. Robyn: Yeah, I agree. Every time I come back from travels, I do a little detoxing. It always looks a little bit different. Sometimes it’s just … Like today, I’m drinking two quarts of green smoothie. I do it before I travel. I do it after I travel, because you can’t always completely control it when you’re on the road. Tell us, people are going to ask. I’m going to ask this up front, rather than later, so that I don’t forget. You take remote patients, don’t you? Because there are going to be people who really like what they hear from you. Some of us, where we live, can’t … really can’t find a good functional practitioner who deals in bioidenticals and has the depth of knowledge that you do. Do you take remote patients, and if so, tell us where your practice is and how to make that happen. Alan: My team does, and we’re in Scottsdale, Arizona. The process is that … We’re physicians, so we see people in person that first time. Some people just take a trip and come visit. We do some more extensive testing and real good evaluation, to get a good sense of what someone’s needs are. Then, follow-up care is pretty easy to manage over the distance, doing laboratory orders, or follow-up steps, or helping get supplements or any needed things shipped out to them. Yeah, very easy to do remote care nowadays. Robyn: Good to know. If people only know a little bit about the divide between standard of care doctors and functional practitioners, or those who want to lean more wholistically, and avoid the toxic synthetic drugs, what is the reason why most MDs are prescribing a synthetic analog of the thyroid hormones; and you guys are prescribing a natural one? Talk a little bit about the whole bioidentical thing. If people know one thing, they know, ‘I’m supposed to go get on bioidentical hormone,’ right? Alan: Yeah. This is relative to thyroid and also hormone replacement. The very simple idea is that there are hormones that are chemically indistinguishable from what your body would make. If there’s a lack, obviously the right part would fit better. Your car could sputter around on kerosene, but it won’t do great on that. The problem in the medical, legal, economic system is that things that are chemically identical to what’s found in the body or found in nature, they’re non-patentable. There’s a lot of passive incentive for companies to make things that are synthetic. Or, a better way of describing that, they’re chemically distinct. They’re not going to be the same as what the body would produce. The perk about those things in the medical, legal, economic world, is that they’re patentable. One company can claim right to invention and control the sale of them, and justify marketing to doctors. They don’t work as well. These things are really like kerosene to your car. Robyn: You’re talking about when we look at the molecular structure of what your thyroid produces, which is actually a pretty complicated subject. It’s not just one thing, right? You’re talking about if a drug company can make something similar, but it’s different molecularly, they can patent it and make a billion dollars. Is that right? Alan: Yeah. Even more depth, there’s multiple hormones, like you were alluding to, there’s multiple hormones that a healthy person’s thyroid gland will make. There’s also some non-hormonally active thyroid proteins that are also produced. The natural versions of thyroid replacement, for those that need that, are much closer approximations to the body’s function and health, than just a synthetic isolated hormone ever could be. Robyn: Okay, so if you could walk us through what the symptoms are if someone is suffering with a thyroid problem. There are so many. I realize there are so many, so stick with the … most basic ones. Many, like me, find that their thyroid tanks when they’re having babies. I had four babies in less than seven years, and that was when it all started; but I wasn’t diagnosed for years afterwards. I want to go through what the common symptoms are, and then … and don’t worry, I’ll bring you back to this part. Just for the reader, or the listener, I want to lay this out. Then, I want to hear about like what you need to look at, because your average MD is just going to test for T3 and maybe an antibody or two, or something. Robyn: Let’s start with symptoms. Alan: Yeah. Symptoms, honestly, the main thing I would put out to anyone is that any unexplained symptom. I would make it that broad, because any possible symptom can be relevant, and any symptoms should be explained. If you’ve got something you’re struggling with, and there’s not been an apparent answer, dig deep and consider the thyroid to be a culprit. Now, there are some classic symptoms which people think about, such as the unexplained weight gain, the bad low energy levels, the thinning hair, the dryer skin, the digestive symptoms. These are classic symptoms. Something that I would encourage listeners to look past with those classic symptoms is for starters, that may not be your symptom. It could be something different from those. The other thing is that it’s rather rare to have all of those classic symptoms, or even more than two or three of them. People will often say, “Hey, you know, my weight’s not that big of an issue; but I’m not feeling well. It must not be my thyroid because of my weight.” That’s just not how it works. 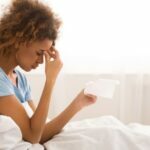 It’s more common that someone has a couple symptoms that are their personal indicators that are very related to their thyroid function, but it may not be the same pattern that someone else has. Really think about any big unexplained symptom, being aware of those classics as well. You talked about, in terms of just testing, and how it’s screened for. The typical scenario is that sadly, many cases doctors will not even test, so commonly. I know stories about someone who says, “You know, I’ve heard your stuff. I thought this might have been a problem. I asked my doctor to test me, and he or she would not.” Then, when they do test, they often do just the most superficial test of all called the TSH test. Actually, I like this text in the context of many other tests; but by itself, and looking at this horribly broad normal range, it just fails to catch thyroid disease the vast majority of times. In a better scenario, the doctor would still check the TSH. They would also look at the three levels of the measurable active hormones; so 3T3, and 3T4. Then also, the markers of thyroid autoimmunity, because this is how this often starts. That’s the thyroid antibodies. There’s antithyroid peroxidase. There’s antithyroid globulin. Then, thyroid stimulating immunoglobulin. We’ve got a couple of others that are useful as well, but those are the big ones that are good starting places for someone to get screened. Robyn: Yeah, and then there are other sort of upstream precursor hormones. A lot of times people will, in a bioidentical hormone clinic like yours, leave with, what? DHEA, progesterone, estrogen; could be, could be, right? You’re looking at a lot of different factors. Alan: What you’re bringing up is a really important point, because the endocrine system is really working in a context of all these other glands together. 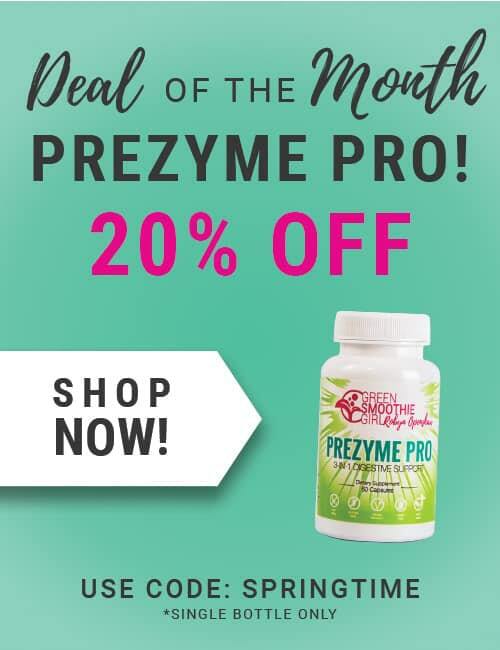 The thyroid’s super important, but how it works is being affected by how the ovaries are working, the adrenals are working, the pineal gland, the pituitary, the hypothalamus, the testicles. All these things are really working in a concert, ideally. Robyn: Do you think that we are propping ourselves up, us post menopausal, mid-life women. Are we propping ourselves up? Taking these bioidentical hormones. When I started on this journey 16 years ago, I was a down-winder baby. I was raised down wind of the Nevada test site. I was drinking radioactive cow milk until I was nine months old was the last detonation in the Nevada test site. I mean people who were in St. George, Utah, are really close to it. There was a John Wayne movie where there were 90 people, crew and actors, and over 90 people … over 100 people, actually. Over 90% of them died of cancer, eventually. Not necessarily like within the first year or two, but now that it’s all played out. There’s a class action lawsuit that was won against the US Federal Government by me. Not me, personally, but people like me who were down wind. I was diagnosed with thyroid disease when I was 33. You had come on your show or share with your folks how I was diagnosed 16, 17 years ago, with Hashimoto’s. I did have some antibodies. You had me come talk on your show about how I beat it with a plant-based diet. That’s not really what most practitioners are teaching, is it? Alan: No, it’s not. It was a story I really wanted to get out there, because there’s strong evidence about that being a very effective course for thyroid disease and autoimmunity in general. Robyn: Yeah, what do you think about plant-based? Alan: You know, as far as chronic disease, autoimmunity, there’s so much evidence supporting that. You talked before in the intro about the fads and the habits, or what not. Sadly, that’s so much of the patterns in nutrition. It’s no more logical than the trends in fashion. It’s like, ‘What did we do last year? Well, that didn’t work. We must … We need to go further the opposite way.’ Now we’re in this phase of really thinking about just going extreme, low carb, and focusing on high fat diets, and high animal food diets. The evidence really has never flip-flopped back or forth, or changed that radically; but trends and habits really have. The tough part is that we’re all so, so subjective to placebos, to hoping something will work and maybe feeling the benefits from it. Or, the other thing that can help it a lot is that so many people, their diets are just so processed that any change they make … They could change, say, ten parts of their diet and maybe three or four of those changes were really helpful, and maybe two or three were indifferent, and a few might have even been harmful; but they may have come out better because of the few good things they did do. There’s a lot of ways in which someone can change a diet and have partial benefit, and feel some improvements from that. Yeah, there’s strong data about just the importance and the benefit of having plant foods in the diet. Vegetables, fruits, legumes, intact whole grains. These things are so well documented. Robyn: Yeah, I love your newsletter and the recipes that you sent out, and how healthfully your family eats. It shows. It shows. You came into this world with a lot of challenges that most of us don’t have, and look at what you’re accomplishing, not just in your own life but for the benefit of all the other humans around you. Couldn’t be more impressed. Alan, if you’ll talk a little bit about the iodine controversies. My first bioidentical hormone practitioner … The first thing I did is I went to a clinic and they put me on synthetic hormone. I was on Cytomel for the first several years. Then, I started to learn and realize that I was on a synthetic drug, and I didn’t have to be. That there was a better alternative. I literally learned that by talking to a girl at the gym. Robyn: Then I was like, “Well, I’m not … I don’t want this. I don’t want to be on Cytomel if it’s going to cause me cancer,” … and there’s other brand names. Anyway, so then I went to being just on bioidenticals. My first bioidentical practitioner, I’ve been to six of them now over the course of 16 years. She made me put a little patch on my arm. If it absorbed, then I needed iodine. What do you think of all of that? Tell us a little bit about iodine, and what the big deal is? You can also have too much of it, right? Alan: You know, that’s a crazy thing. Iodine is an essential nutrient for thyroid function. When the American Thyroid Association made their last list of the 300 or so toxicants that affect a thyroid, the most documented serious toxicant is iodine. It’s this total double edged sword. Intuitively, we think that … I don’t know, that whatever the body needs, that it’s got to just be like more and more is better and better. So many things. There’s this sweet spot, and too little is bad, and often times, just a slight amount more than that is bad often in the same ways. I can think of a few better examples than iodine. That patch test that she did, there was actually a large study done that in 1932. Did I tell you that story before? Robyn: No, but I’m interested, because that always seemed weird to me, that whole thing. Alan: The premise is that yes, topical iodine is iodine, and that if you put it on your skin, some of it will disappear. The color goes away after time. The thought process is that, ‘Well, that’s your body absorbing it. If you absorb a lot of it, you must be low. If you take longer to absorb it, you must not be deficient.’ It’s funny how a lot of these things can be settled decades ago, but there’s still that really thought of very thoroughly. In 1932, there was a big test done on this. In the test, they had some people that had just obvious severe myxedema coma, which is one of the worst versions of a thyroid deficiency. Many of them were iodine deficient, and that was the cause. Then, there was many people that were healthy. One group that they also tested was flesh from cadavers. Alan: They tested live people, healthy and also iodine deficient live people, and also dead people’s skin. What they learned was that when you put iodine on your skin, about 80% of it absorbs into the air. That’s the biggest source of loss right there. The remaining 20% does absorb, so there is some iodine absorption. But, whether you’re healthy, unhealthy, iodine deficient, or even dead, there’s no relationship between how fast you absorb the iodine. Robyn: Okay, so not … Don’t put the little thingy on your arm and think that, that’s a really going to be a good indicator. Yeah, yeah. My gut told me that, that wasn’t quite right. Robyn: If I haven’t had a test, would I better off taking some nascent iodine drops, or only if I’m having specific symptoms? Or, do I need to go get a test to know if I need iodine? Alan: You know, I’d love to say here’s an easy test you can do anywhere. Sadly, there’s not an easy, accurate test. Iodine is so carefully regulated inside of your body that if you look at a urinary level, for example, that will reflect what you take in but it can vary so much from sample to sample. Also, if your intake changes, it might take months to show up. As far as who might be iodine deficient, if someone is raw food vegan, they do have a risk for that. Really, just by adding in some sea vegetables, you could circumvent that risk. Other populations that could be consuming no iodized salt, no sea vegetables, can be at risk. Otherwise, it’s not a common problem. Paradoxically, having too much iodine is one of the more common risks for triggering all types of thyroid disease, especially Hashimoto’s. Before, we had fortified iodine in our foods in 1920, we had almost no Hashimoto’s in the states. Once we did, we did reduce the rate of goiter amongst school children, which is wonderful. But, then we unmasked autoimmune thyroid disease. Robyn: We used to … I don’t know if it was 50 years ago, or when exactly, but a really long time ago, we started putting iodine in salt. You mentioned iodized salt. Of course, we’re talking about refined, processed salt that’s actually really bad for us, but Americans love to put it all over their food. It’s not my solution, because I don’t use it. I’m sure I get some in food when I’m traveling or whatever, but … Are we still doing that? It sounds like that was a bad move. Alan: Well, it was about 1920. It’s potassium iodine. It’s one part per 10,000. It reduced the risk of goiter. It did help with that. It’s a funny paradox, though. Most of us that do eat healthy, we’re mostly eating at home; but when you’re eating out, the foods you’re consuming that are pre-made foods from supermarkets or foods from restaurants, they’ve got salt for sure, probably too much. They don’t use iodized salt. Oddly, the one exception is Burger King. I don’t know why, but by and large, your processed food with salt doesn’t have iodine in it. Robyn: Interesting. How important do you think it is to go get a iodine test and worry about it? Or, do you think most people are in the range? Alan: Most people really are in the range. 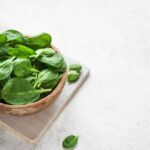 Really, by just having some sea vegetables, those that do have sea food in the diet, most that have a variety of organic vegetables, are doing pretty well on that. Robyn: Okay, so if you’ve never thought about sea vegetables, I believe you’re talking about kelp and dulse? Or, is there more? Alan: To be really precise, kelp is one that I would forego, because you could easily overdose on iodine. Most other types are awesome a few times per week. 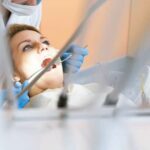 The one big paradox is that the population who’s on any kind of thyroid medication, because of their thyroid medication alone, they’re typically on the upper limits of their safe iodine levels. That population is served by avoiding all the extra sources of iodine. The big thing here is really just iodized salt, and then iodine added to supplements, like multivitamins. Robyn: So stay away from salt, that’s probably a good idea on multiple levels; even more now. What are the sea vegetables then? Alan: My favorites would be wakame. You mentioned dulse, which is awesome. [Hijiki 00:26:54] is really good. Nori is fine. They’re rich sources of many other minerals. A couple of reasonable sized servings a week, or a nice source of some good fiber, and also good ways to maintain adequate but not excessive iodine status. Robyn: Okay, wakame, nori, [waziki 00:27:10], and dulse. Alan: Hijiki and dulse. Yeah, they’re all great ones. Robyn: Hijiki. Okay, because I haven’t even heard of hijiki. Nori is like the stuff on the outside of sushi, and so either you like that stuff or you don’t. Alan: You see that as snack foods more and more commonly, which is great. Yeah, they’re … An easy thing is just wakame is the type that they make the little flakes in miso soup. You can drop those flakes in any kind of soup or stew. It’s a very neutral taste, and nice texture. Robyn: Yeah. 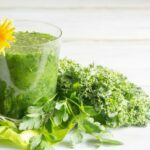 You can even put a little pinch of this stuff in your green smoothie and you probably won’t notice it. All right, so is Hashimoto’s reversible? Alan: Two answers to that question. For some people, reversible’ means it’s completely gone. I’ve never got to do anything else again about it. The other answer to that question is, can I feel like I felt before this got diagnosed? The second one is the easiest one. I would say unequivocally, yes. You can have your function back again. You can reverse the symptoms. As far as the disease completely going away, … for probably 20 to 30% of people, even if they’re not doing anything special, it does spontaneously go away. Those that are diligent and are eating good foods, taking care of themselves, I have no doubt, it seems clinically that, that percent can be higher. One thing I would love to just point out is that the tests for thyroid antibodies, they do … When someone does have measurable thyroid antibodies, that confirms they have Hashimoto’s. Now, if someone does not have measurable thyroid antibodies, the test is negative, or the test becomes negative. That actually doesn’t mean that they don’t have Hashimoto’s. Oddly enough, the antibodies are not always measurable, even when they are active. Yeah, for many people, it does just go away spontaneously. For a larger number who are being diligent about their health, it can go away. I’d say for anyone, taking the good right steps, they can reverse any way this affected their health. Robyn: Yeah. I consider my long ago diagnosis of Hashimoto’s Disease to be a really nice little divine tap on the shoulder, because it keeps me honest. Robyn: Several years ago, I was under a tremendous amount of stress; and went in for my twice-a-year blood test. I had antibodies … I can’t remember which antibody test said was at a four, normally it’s at a zero. Nothing is detectable. I was at a four. She said, “Be careful. Be really careful.” I guess that’s not a crazy high number, right? Robyn: Yup. I consider Hashimoto’s to be my … temperature gauge on the dashboard. It’s the thing that I watch. It’s the thing keeping me honest and eating lots of greens, vegetables, fruits, legumes, whole grains. Not flour, but not … We have to eat gluten to eat whole grains, that’s a whole … Alan and I could go sideways about this. We were talking once, and you said … We were talking about all these fad diets and how while we’re friends with the paleo, and ketogenic, and AIP, and folks in all that, and all those diets are really great at getting people off of processed food, we all agree on those things. That you said, “I feel like,” … because I don’t line up behind any of those fad diets either, and I believe that in five years, another one will come in. Right now it’s ketogenic. Five years ago it was paleo. Alan: Well, there’s always the little cliques. I’m not fitting in the clique, so I’m just going to keep doing my thing here. Robyn: Yeah. You’re really good in your … You write these stories that really balanced. They’re really hard hitting information. They’re clear without … I don’t want to say, because I don’t agree with how much meat people eat in the paleolithic diet are eating. I don’t believe that people who are eating the paleo diet are eating anything like what paleolithic man ate. Just because of that, that doesn’t mean I hate the diet. It doesn’t mean that I don’t see the good in it; but I do think that people are eating too much meat on it. I don’t think it’s super relevant to what people have been eating for 3.4 million years. What about you? Alan: Yeah, couldn’t agree more. They’ll always … Many will talk about how, “Well, this particular version of our modern food is now different.” Well, every version of our modern food is different than what it was. There was no single human diet. The trends that are the most prevalent were that, the bulk of our calories would have come from plants. The extent that we had animal foods, they were a much smaller portion of our calories; and they were pretty lean and gamey foods, and probably mostly from the ocean. Yeah. Robyn: Yeah, yeah. I just got your newsletter last week and read about wine. Of course, we’ve all seen the studies. I have a feeling that there’s a profit industry behind those studies. What’s the scoop, if you boiled it down? You can all go check out Dr. C’s newsletter and learn for yourself, or his blog, about whether red wine is really good for you. Tell us the basics, the skeleton of that whole argument. Alan: Well, the skeleton is that we used to look at people and put them in categories of non-drinkers, low drinkers, moderate drinkers, and heavy drinkers. Then, just look at mortality; which ones died the most. What happened was that the non-drinkers died more than the light drinkers. Then, there was more death in the moderate and more death yet in the high drinking categories. It seemed pretty intuitive that wow, there must be something protective about a little bit of alcohol. That was really the basis for so many recommendations, especially for cardiovascular death. Not too long ago, some researchers started to question that and said, “Hey, let’s think more about who this group of non-drinkers represents.” It turns out there’s two very different types of non-drinkers. There’s those that choose not to, for whatever reason, voluntarily. Then, there’s those that medically have to not drink because of they’re on medications that are not compatible, or they’ve liver disease, or they’ve got … They were addicted to alcohol in the past. If you pull out those that could drink but don’t from those that medically can’t drink, and you look at those that are doing it all by choice. Those that choose not to, those that choose to have a little bit. Once you do that, those that are choosing not to drink, they have less mortality than those that drink a little bit. The reason that the non-drinkers looked worse before is because many people that medically can’t drink, they have health challenges which raised their mortality levels. Once you pull out the unhealthy non-drinkers from the voluntary non-drinkers, they’re better off. They have less cardiovascular disease. The cancer risk has always been pretty apparent. The breast cancer risk especially is quite strong, and it seems that for things like breast cancer or brain aging, … Every amount has some cumulative risk towards it. Robyn: Yeah, alcohol’s just bad. The end. We got some powerful industries. I don’t know where all of the research comes from that says, “Hey, drinking a little wine is good for you.” I mean there’s the blue zones. I always talk about the blue zones on this show. Some of them drink primarily red wine, and a glass or two in the evenings sometimes seems to be what comes out as where you can stay in a safe zone. There’s other issues with wine, too. I can’t remember if you covered this in your blog, but what about all the glyphosate in it, too, right? Alan: Sure. There’s theoretical concerns that some things like that maybe emergent over time, but it would take quite a bit of people and quite a few years to say for certain. When there’s theoretical risks, it can be worth avoiding those, even if the final data’s not back. Robyn: Yeah. Of course, people are going to drink anyway. They’re going to hear this and we made them feel bad. We don’t want to make them feel bad, but we do want to … promote a high vibration life. Where’s the safe zone, and what would you drink if you were going to drink? Alan: You know, I’m not personally a non-drinker. By habit, I end up doing about a six pack or so a year it seems, or about that much in wine. There’s got to be some threshold that’s probably a few per week that’s harmless; but it does seem that, for women even, even a serving on a daily basis does get to be a risk for breast cancer. Then for both genders, a serving daily can be a risk factor for premature brain aging, and Alzheimer’s. Robyn: Yeah, that makes sense. I think if you’re drinking a six pack a year, I think you can … safely call yourself … Well, almost a non-drinker, yeah. It’s kind of like how I won’t say that I’m vegetarian because there’s that rare time that I’ll eat animal products. Someone will see me, and I don’t want to say I’m a vegetarian or vegan when there’s that rare occasion. It’s been absolutely delightful talking to you, Alan. I love your work. I’m so thankful every time you research a new topic. I know you have a deep dive into the soy controversy. You got Dr. Michael Greger who thinks it’s great. You’ve got lots of people who say … Obviously I think we all line up that the GMO is bad, but I’m looking forward to what you say about that in the coming week. I want to invite our listeners to check out Dr. Christianson’s work. If you’re interested in learning more about thyroid, he is the guy. What are they getting there? Was it a free video series? Alan: It is. There’ll be some training about just thyroid function and things to test for, things to look out for, and ways to help manage, keep that safe, and more details for those that may need further help with their own thyroid. Yeah, lots of good stuff. Robyn: Okay, so I asked Dr. Alan Christianson for his best resources. He told me about his Grave’s course coming out, obviously most of our listeners don’t have Grave’s Disease, but if you suspect it or think … or you know that you have it. 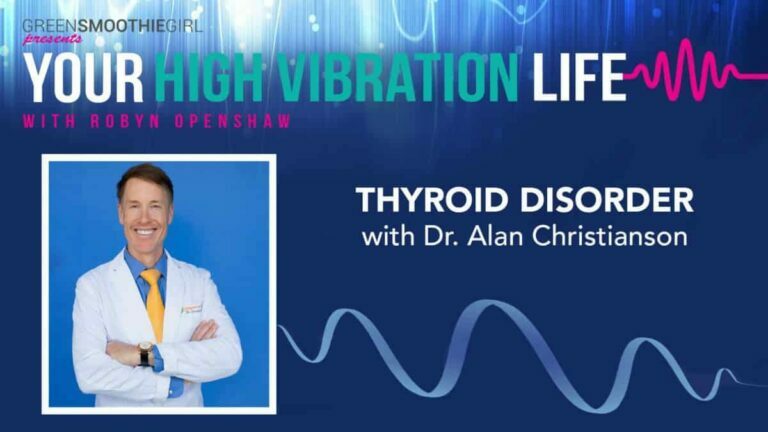 If you’re interested in great content, any couple of two or three actionable things that you could tell our ‘Your High Vibration Life’ listeners, Alan, about what they can do to keep their thyroid healthy and just to be overall living at their highest frequencies. Alan: You know, this is going to sound silly or cliché, or something, but one of my favorite habits honestly is green smoothies. Robyn: I love it. I love it a lot. Alan: Not trying to be a sycophant, but seriously, that’s a great one. That, throw some brazil nuts in your mixture as well. Get a couple of those most days. Watch out for the excessive iodine. A big one would be dialing in vitamin D. Test your levels. Think about sunlight or supplements, some combination. Those are some of the most powerful action steps you can going on; but greens are huge. 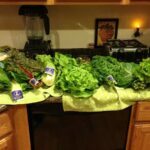 The benefits of chlorophyll and the fiber, and all the other beneficial plant nutrients we get from greens are just huge. Robyn: I love it. Those are my favorite actionables myself. Thank you so much for being with us, Dr. Alan Christianson. Alan: My pleasure. Thank you so much for having me. I agree with you totally, Robin. I trust what Dr. Christiansen says. His story is amazing, he’s soft spoken, and kind. He backs up his statements with real research and truths. I enjoyed the interview. When you mentioned you are on a Thyroid medication, is it something like Armour or is there a more natural option? Can a person who’s been on synthesis for 10 years get off it and change to a better way? It has never alleviated all of my symptoms but it’s all that was suggested. Hi Trisha, yes, it is absolutely possible get off Synthroid. This would need to be done with a functional medicine doctor who can guide you with blood work every 3 months as you make changes to your diet etc. Hopefully you can find one in your area. A naturopath can also help but they would not be able to prescribe medications to adjust your dose, they would however be able to help with supplementation and blood work.